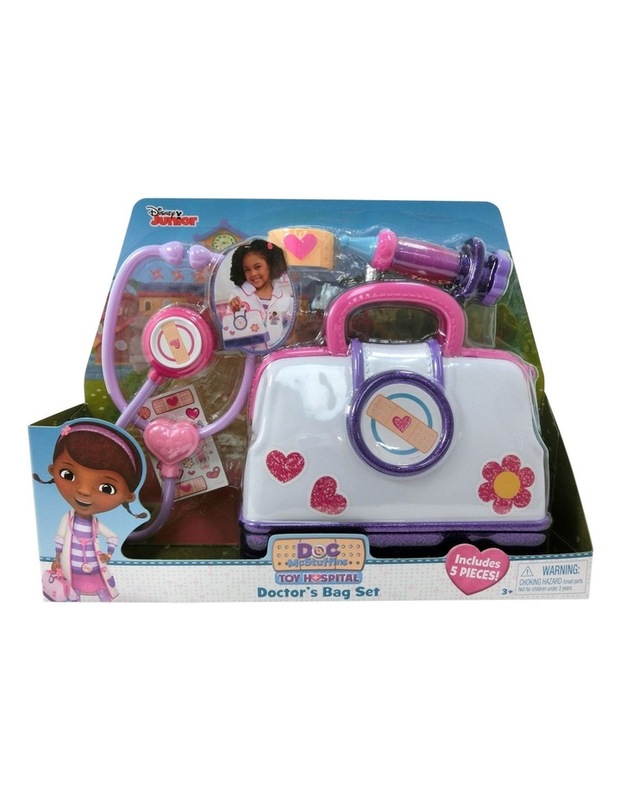 This super fun Doc McStuffins Toy Hospital Doctors Bag Set lets kids be just like Doc McStuffins herself. This set includes everything you need to help all those sick animals to feel better. • Included in the set are vet accessories such as otoscope, stethoscope, patient bracelet, brush and bandage stickers.